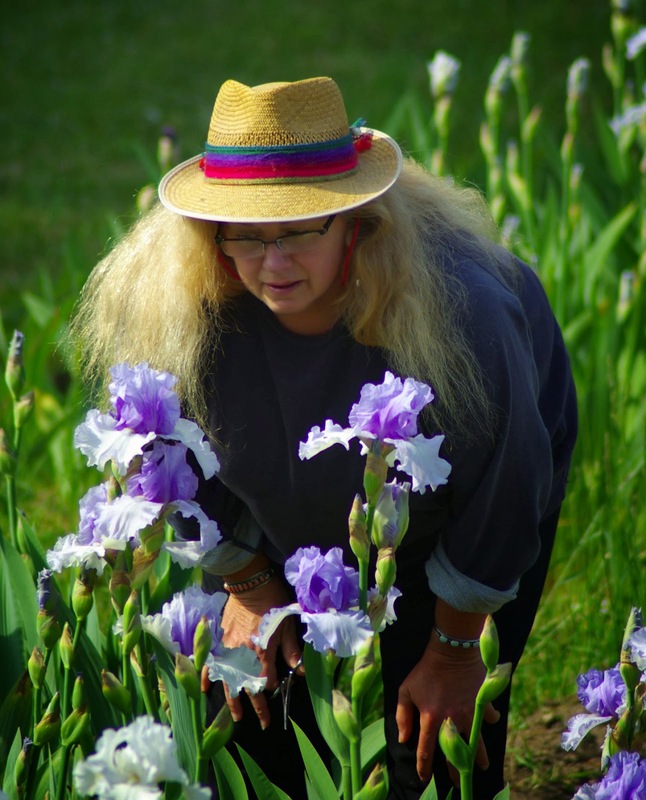 I’ve been asked to write about who I am and how I came to be an iris breeder. . . so I’ll start with where I’m from. I was born in south-eastern Michigan,USA in 1952, and moved to France in 1986, where I have been living for the last 28 years. I only began to garden actively in the early 1990s when no one else had time to renovate a severely overgrown flowerbed containing (what else?) irises in my mother-in-law’s garden in central France. Well, as previous non-gardener, perhaps I might be forgiven for not knowing anything about irises at the time, so this may explain why we lost a number of varieties after my energetic but somewhat inexpert endeavours. This left quite a sorry-looking gap in the flowerbed and since we had the advantage of proximity to Cayeux’s iris nursery on the other side of the Loire river, we went over there to see the plants in bloom and choose a few new ones to occupy the depleted flowerbed. This went on for a number of years. . . we happily visited Ets. Cayeux every spring, adding a few new varieties each year, learning more and more about the care that the plants require throughout the growing year as well as basic gardening techniques. It wasn’t until 1994, during our annual visit to see the iris garden at Ets. Cayeux, that I was shown how to make a cross. We were admiring the flowers when I noticed a man walking around in the presentation garden with a few iris blossoms and poking at some of the flowers and I said, innocently enough, (What is that man doing to those flowers ?) My husband went over to ask what he was doing and, after introducing himself as Richard Cayeux, he informed us he was making crosses on selected flowers with the pollen of the blossoms he was carrying with him and he then proceeded to show us how to make a cross. I had no idea that just anyone could do that and hybridizing would certainly have been quite a fancy name for my first-stab effort—and of course I went home and tried it right away, just to see what would happen. I was lucky, because the cross worked, produced 16 seeds and three of them eventually came up, something of a minor miracle. They certainly weren’t great plants by any stretch of the imagination, but it was the start of something. I didn’t make any more crosses until 1997, as after the first plants came up, we moved across the country and were obliged to live in an apartment in Nancy (north-eastern France) for four years---the young irises also had less than ideal living conditions, since they were confined to their pots---but I rented a piece of land behind my mother-in-law’s garden in central France and began actively hybridizing, bringing the seedlings along in the eastern part of the country, hauling them all the way down to central France and then planting them out and cultivating them over 400 kilometers away from our home residence! We finally moved out to the countryside in eastern France, but unfortunately our soil there was certainly not conducive to iris cultivation, since it is heavy soil that holds too much humidity so I’ve continued to plant my seedlings in the garden I’ve created across the Loire river from Cayeux, dividing my time between home and iris garden. 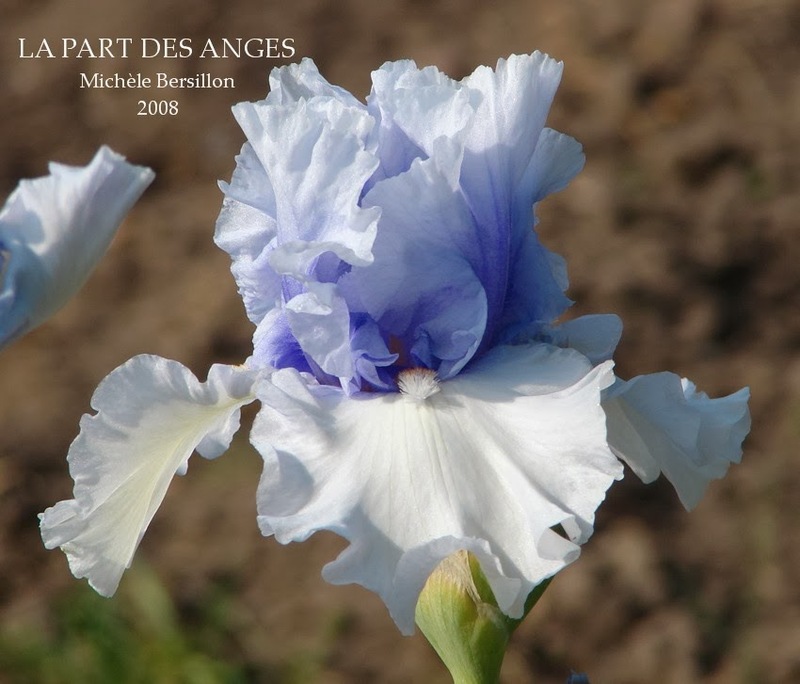 My first iris to be introduced in the United States was 'Petit Frère' (BB) in 2007, eventually followed by 'Avant-Premère', 'Comédie Française' and 'La Part des Anges' in 2009 and 2010. 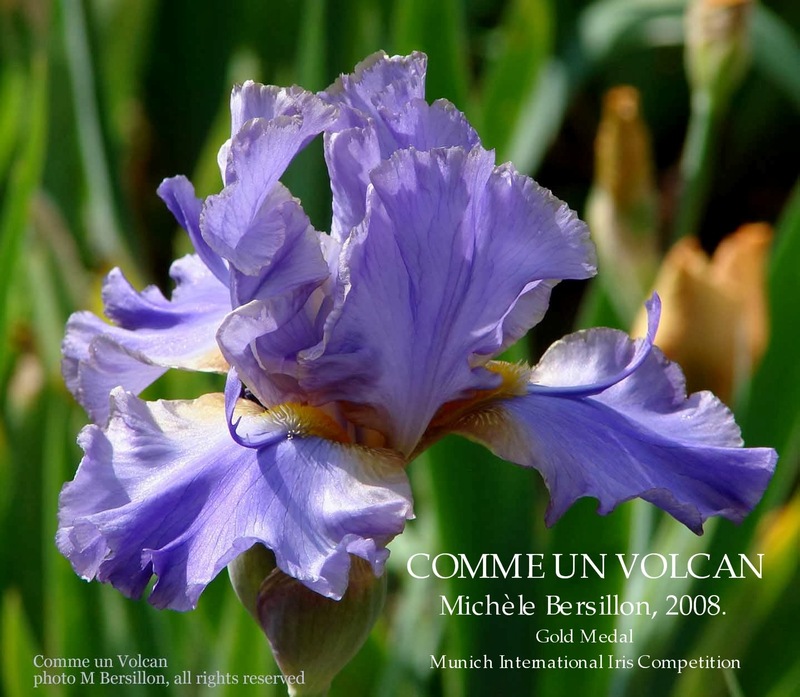 'Ecume de Mer', another of my irises, won a gold medal in the Munich International Iris Competition in 2009 and I was very pleased indeed to see 'Comme un Volcan' share the gold medal there the following year, with Richard Cayeux’s splendid iris 'Ciel et Mer', particularly since 'Comme un Volcan' is a direct descendant of one of my three very first seedlings, a second-generation descendant of 9401B (Pink Horizon X Royal Trumpeter). 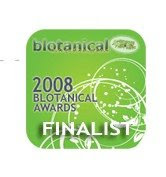 'Avant-Première' won a bronze medal at Munich the year before last and one of my seedlings won a silver medal last year. I am proud and very honoured that Ets. Cayeux decided to include my creation, 'La Part des Anges' in their catalogue last year. After much searching and a number of complications, I have finally found a new distributor to introduce my plants in the United States, Stout Gardens and I have plans to market more of my creations over there for their first commercial year in order to give them access to the American Iris Society’s awards. I’d like to take this opportunity to thank Richard Cayeux for that very first iris-breeding lesson, something I’ll never forget and which changed my life forever. AVANT-PREMIÈRE Michèle Bersillon, Reg. 2008 Sdlg. 0554C. TB, 37" (95 cm), M; S. and style arms blue violet; F. pale lavender; beards bright orange, white at end; slight sweet fragrance. 035B: (Coeur d’Hiver x Filardi BF-176: (Night Game x Romantic Evening)) X Fogbound. International 2009.Bronze Medal, Munich International Iris Competition, 2012; Award of Garden Commendation, 2014. COMME UN VOLCAN Michèle Bersillon, Reg. 2008 Sdlg. 0136A. TB, 35" (90 cm), M. S. blue violet (RHS 90B), narrow grey (N200C) border; style arms (90B), sides creamy tan (158A), darker (160B) center stripe; F. medium violet-blue (N88A), sides lighter (90B), hafts blended tan (163B); beards orange yellow (23A), very light blue at end, 3-4 cm long blue violet (90B) appendages ending in small flounce; slight sweet fragrance. Derviche X Special Feature. Stout Gardens 2012. LA PART DES ANGES Michèle Bersillon, Reg. 2008 Sdlg. 0423E. TB, 37" (95 cm), M; S. blue violet (RHS N88C) at midrib paling to light blue-violet (92C) at edges; style arms (92C); F. very pale blue (lighter than 91D) aging to white; beards light blue (100D) tipped red (41B); slight sweet fragrance. Fogbound X 9920R: (Sapphire Hills x Surf Rider). International 2010. 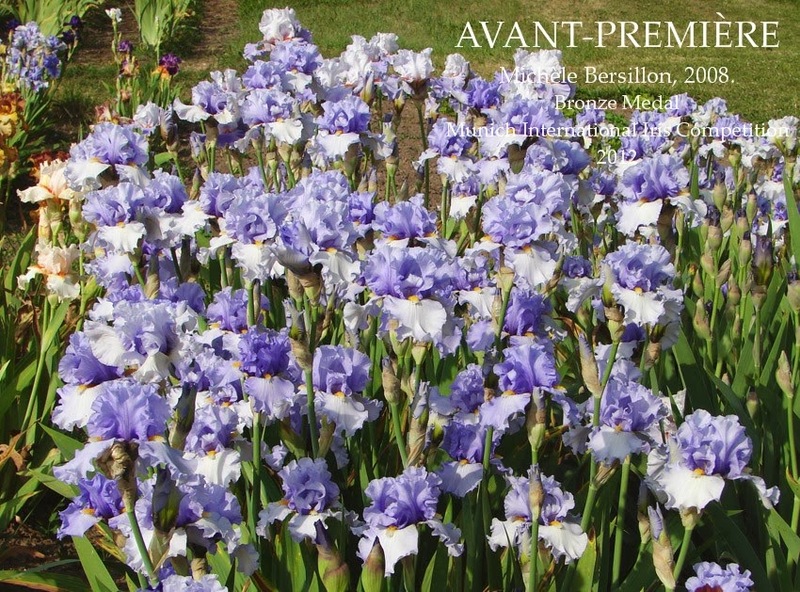 Update 2015: Last year Michèle's iris 'Avant-Première' won an Award of Garden Commendation (AGC) a British Iris Society trail garden award which makes 'Avant-Première' now eligible to compete in the Dykes Medal Trial in Great Britain. Well done Michèle, and I am sure the whole of France send you their Congratulations. Reproduction in whole or in part of this article and including photo's without the expressed written permission of Michèle Bersillon is strictly prohibited. Photo credit and copyright Michèle Bersillon © .